Nestled in the Carpathian mountains, high in the heart of Transylvania, lies the home of the most chilling tale of the nineteenth century. Are you brave enough to test the myth? Bran castle’s history dates back to the 14th century, it is most well-known as the inspiration for Dracula's castle in Bram Stoker's celebrated novel. Enjoy reliving the legendary Dracula novel while making your own history. Your dark imagination and deep knowledge of vampires will prepare you well to answer this simple question: What would you say to the Count if you were to come face-to-fang with him in his own castle? Show us your vampiric wit by 11:59 p.m. CET on 26th October 2016 and you could be sleeping in his crypt as the witching hour approaches. Not a local in Transylvania? No worries. Winners will be flown in from anywhere in the world. You and your guest should be over 18 years old. You must be available to spend the night on 31st October - 1st November 2016. Enter freely, go safely, and leave some of the happiness you bring. Submissions should be between 50-550 characters in English, French, German, Spanish, Italian, Russian or Portuguese and 100-300 characters in Chinese (Simplified or Traditional), Japanese or Korean. Please read the full contest rules under “House Rules” below. How to Enter. Participants who have reached the age of 18 at the time of participation, may enter the Contest from 17th October 2016 at 10 am Central European Time until 26th October 2016 at 11:59 pm Central European Time by following the process below. Submissions must be received through the below process by the close of the Contest to be eligible. 4.) In the form provided write an artistic and creative story - of between 50 and 550 characters in English, French, German, Spanish, Italian or Portuguese and between 50 and 300 characters in Chinese, Japanese or Korean – explaining what would you say to count Dracula if you were to meet him in his castle (the “ Submission”). The Submission must be sent from the participant’s Airbnb account to be verified and reviewed. Each participant can only participate once and you represent that you are more than 18 years old. Airbnb is not responsible for computer or network problems, problems with servers, problems with email accounts or the failure to receive any Submission for any reason whatsoever. By entering the Contest, participants agree, on their behalf and, if applicable, any guest that as a winner they are permitted to share the prize with, that they may be contacted by Airbnb in relation to the Contest and agree to take part in any publicity that occurs as a result of the Contest and grant Airbnb and Partner and their group companies and agents the right to use their name and/or image and/or town/country of residence in promotional activities. Eligibility. The Contest is not open to residents from: Cuba, the Crimea Region of Ukraine, North Korea, Syria, Iran, Sudan, any country subject to embargo by the United States of America or any jurisdiction where the Contest would be prohibited or restricted by law. This means that you are not allowed to participate if you reside in one of these jurisdictions. The Contest is for residents of all other countries of the world and by entering participants agree that the individual winner(s) will be selected from all Submissions received from these countries. Directors, officers, employees, independent contractors and agents of Partner and Airbnb, or their subsidiaries or affiliates, and the members of their immediate families or households, are not eligible. - Does the Submission fit the entry criteria? - Originality and creativity of the Submission. Does it surprise and delight us? - Spirit of the Submission. How does your Submission relate to the legend of Dracula? The panel of judges will be comprised of members of the marketing teams of Airbnb and Partner, and one independent judge. The judges’ decisions are final and binding. If substantially similar Submissions are submitted by different entrants, judges will select only the best version of that idea, as determined by the judges in their sole discretion. If in the opinion of the judges no suitable Submissions are received, or no winner can be contacted or responds as set out in these Official Rules, then the Sponsors may cancel, extend or repeat the Contest in their sole discretion. Prohibited Content. Submissions/content must be the original work of the participant and not have been previously published, or entered in any other competition, and must not violate the rights of any other party, including but not limited to intellectual property rights or rights of privacy, publicity or other moral rights. Submissions must NOT contain: (a) advertising or commercial content for any party other than Airbnb or Partner; (b) content that endorses/promotes illegal or harmful activity; (c) violent, profane, vulgar, obscene, defamatory or otherwise objectionable material; (d) adult material; or (e) defamatory content. The Sponsors reserve the right to disqualify any participant who violates these prohibitions or any other provision of these Official Rules, or that the Sponsors deem inappropriate for any reason, in their sole discretion. License. By submitting a Submission, participants grant each of Airbnb and Partner a perpetual (or for the term of the protection granted by the relevant intellectual property rights), worldwide, irrevocable, royalty-free license to transform, edit, modify, reproduce, distribute, transmit, publish, communicate to the public, broadcast, perform, display, or otherwise use the submitted story, in whole or in part, with or without modifications, in any form or medium (including but not limited to: internet, any printed medium distributed via press, billposting, point of sale advertising, flyers, leaflets…), whether now existing or later developed, for entertainment, promotional and/or advertising purposes and/or any other purpose. To the greatest extent permitted by law, participants agree to waive and not to assert or invoke any so-called moral rights in relation to their Submissions (including without limitation the right to be identified as the creator of the work and the right to object to derogatory treatment of the work). For the avoidance of doubt, the license referred to in this paragraph is a fully paid-up license. By entering, you guarantee that your Submission is original as referred to above, and that you have all necessary rights to provide the Submission and to grant to Airbnb and Partner as applicable the rights set out in these Official Rules, as well as the consent of any person identified, depicted or referred to in the Submission. You will indemnify and hold Airbnb harmless for any breach of these provisions. Only the winner(s) will receive a prize according to the next paragraph: ‘Prize’. - Transport between the winner’s home and airport or train station. Participants represent that they are available to travel to Bran, Romania to be there on 31st October 2016. Participants must have a valid passport (or EU Identity Card) to travel to Bran, Romania during the period of the trip to redeem the prize. The total value of the prize is approximately 3000 EUR + a return trip to place of origin for all the non-Romanian residents. The Sponsors are allowed to ask for a written confirmation or proof of the place of residence and age of the winners and any guest(s) they are permitted to share the prize with before awarding the prize. No substitution or transfer of the prize is permitted. The prize may not be redeemed for cash.  If due to circumstances beyond Airbnb's or Partner’s control, Airbnb or Partner are unable to provide the stated prize, Airbnb and Partner reserve the right to award, as substitute, a prize of equal or higher value. Prize Conditions. Save as may be required by any applicable mandatory laws, the prize will be as referred to in these Official Rules and is provided as-is with no express or implied warranty or guarantee. This Contest is subject to applicable local laws and regulations, including but not limited to tax laws. The winner is solely responsible for any taxes applicable to or resulting from the award of the prize, and the Sponsors will have no obligation for any taxes that may be payable. Sponsors may require the winner, and where applicable, the winner’s guest, to sign and return an affidavit of eligibility, a liability release and a publicity release permitting the Sponsors to use the winner’s name, image and winning Submission in promotional materials where permitted by law and subject to applicable rules. Refusal or inability to sign and return such forms within 48 hours of receipt may result in disqualification and awarding of prize to an alternate winner. The winner and guest represent they will behave as good citizens during their stay at Bran castle and that they will cooperate with the security personnel that will be present at Bran castle on 31st October and 1st November. General Liability Release. By entering this Contest, participants release the Sponsors and their agents from any liability whatsoever, on any theory, and waive all claims and causes of action arising from or related to this Contest and/or fulfillment and/or use of the Prize, to the extent permitted by applicable law. However, nothing in these Official Rules limits or excludes any person’s or entity’s liability for death or personal injury caused by their negligence or any other liability which may not as a matter of law be limited. Miscellaneous. The Contest is void where prohibited. If any provision or part-provision of these Official Rules is held by a court of competent jurisdiction to be invalid, illegal or unenforceable, it shall be deemed modified to the minimum extent necessary to make it valid, legal and enforceable. If such modification is not possible, the relevant provision or part-provision shall be deemed deleted. Any modification to or deletion of a provision or part-provision under this clause shall not affect the validity and enforceability of the rest of these Official Rules. To the extent permitted by applicable law, the Sponsors may suspend, modify or terminate the Contest if they believe, in their sole discretion, that malfunction, error, disruption or damage is impairing or will impair the administration, security, fairness, integrity or proper conduct of the Contest, in which case the prizes will be awarded among the eligible Submissions received that were unaffected by the problem, if possible. With reference to the Italian participants please note that this Contest does not constitute a “Manifestazione a Premio” under the provisions of D.P.R. 430-2001 because winner(s) are selected and prizes are assigned to them on the basis of their personal writing talent and consequently the exception described under Article 6, par. 1, letter a) of the above mentioned decree shall apply. I am Dacre Stoker, the great grandnephew of Bram Stoker, author of the legendary Dracula novel. I am a vampire expert and passionate advocate of my great grand-uncle’s novel. Bran Castle is where the legend of Dracula was born and I am thrilled to welcome and guide you through the dark passages of the castle for a private unveiling of its many mysteries. Bonjour, je m’appelle Dacre Stoker et je suis l’arrière petit-neveu de Bram Stoker, l’auteur du légendaire roman Dracula. Je suis passionné par l’univers des vampires et j’adore parler de ce roman. Le château de Bran est le lieu où cette légende est née. Je serai ravi d’être votre guide. J’ai hâte de vous révéler les nombreux mystères tapis dans les couloirs du château. Mein Name ist Dacre Stoker und ich bin der Urgroßneffe von Bram Stoker, dem Autor des legendären Romans über Graf Dracula. Ich bin ein absoluter Vampirexperte und begeisterter Fan des Werkes meines Urgroßonkels. Schloss Bran ist der Ort an dem die Legende von Dracula geboren wurde. Ich freue mich sehr darauf, euch an diesem besonderen Ort willkommen zu heißen und durch die dunklen Ecken und Winkel des Schlosses zu führen. Und natürlich werde ich euch ein paar haarsträubende Mythen und Geheimnisse verraten. Mi chiamo Dacre Stoker. Sono un discendente di Bram Stoker, un esperto di vampiri e un appassionato sostenitore dell’opera del mio antenato. Per questo sono lieto di potervi accogliere presso il castello di Bran - dove la leggenda di Dracula è nata - e di svelarvi i suoi molti misteri. Eu sou Dacre Stoker, sobrinho-bisneto de Bram Stoker, autor da clássica obra Drácula. Eu sou especialista em vampiros e defensor apaixonado da obra do meu tio-bisavô. A lenda do Drácula nasceu aqui no Castelo de Bran, e será um prazer enorme receber e guiar você através das passagens escuras do castelo para juntos desvendarmos seus inúmeros mistérios. Меня зовут Дейкр Стокер, а автор легендарного романа «Дракула» Брэм Стокер приходится мне двоюродным дедом. Я специалист по вампирам и преданный поклонник этой книги. Замок Бран — колыбель легенды о Дракуле! И я с удовольствием проведу вас по его темным закоулкам и поведаю множество тайн только вам! Me llamo Dacre Stoker y soy descendiente de Bram Stoker, autor de la legendaria novela del conde Drácula. Soy experto en vampiros y un defensor acérrimo de la obra de mi antepasado. Estoy deseando ser tu anfitrión y guiarte por los oscuros pasadizos del castillo de Bran, la cuna que vio nacer la leyenda de Drácula. Te espero para descubrir juntos todos sus misterios. 저는 데커 스토커입니다. 전설적인 소설 ⸢드라큘라⸥의 저자인 브램 스토커의 조카 손자예요. 저는 뱀파이어 전문가이며 종증조부님의 소설의 열렬한 팬입니다. 브란 성은 드라큘라의 전설이 탄생한 곳이에요. 성의 수많은 미스터리를 파헤치기 위해 방문하는 게스트를 맞이하고 어두운 성안 곳곳을 안내해 드릴 생각을 하니 벌써 설레네요.